It’s hard to find yourself in a new position with responsibilities you've never had before, like managing a team or motivating your staff. Sure, you’ve been part of teams. And yeah, you’ve been a star performer in previous positions. But, playing the role of leader… Well, that’s something new all together. Over the last decade, we have worked with over 15 summer camps and youth development organizations across the U.S. and Canada, we have trained over 500 supervisors and senior leaders. Each participant left the training with valuable skills that could immediately be put into practice to benefit their camp program and that could be leveraged, in the future, throughout their careers. We are a trusted training partner for camps that choose to hire outside organizations to delivery sessions during orientation week. Our trainers are relevant because they “get camp” and bring a strong team management background from corporate, non- profit and entrepreneurial work-life experiences. What your supervisor team will gain from this training supports their ongoing professional development as they grow their careers in and outside of camp. 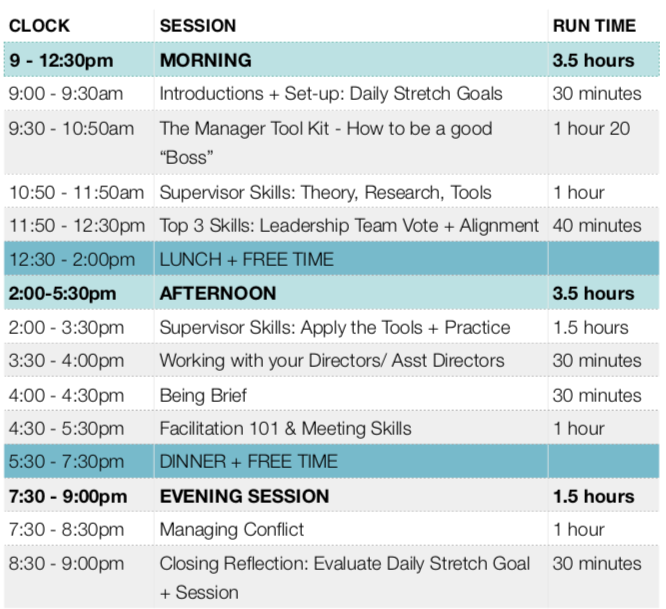 Here is a one-day Manager Toolkit Sample Schedule we would run during Staff Orientation Week. All training programs can be customized based on the priorities of the camp we’re working with. 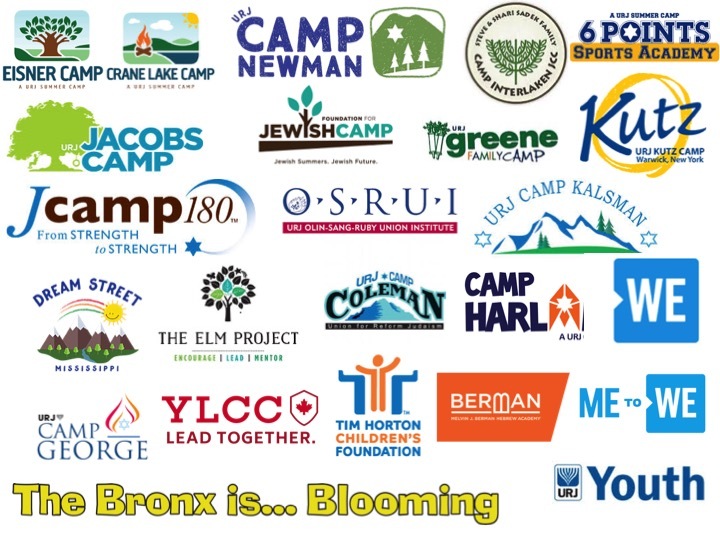 Over the last decade, The Group Forward is proud to have worked with these Camps and youth focused organizations.